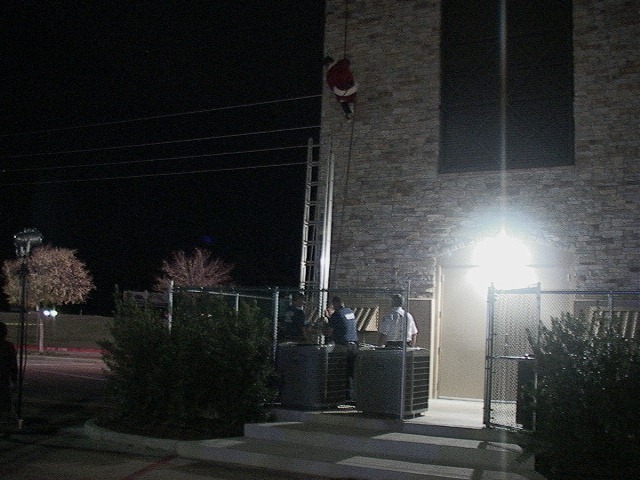 Hundreds on people were on hand to witness as a man dressed as Santa Claus got stuck high above the ground — so high that he needed a little help. 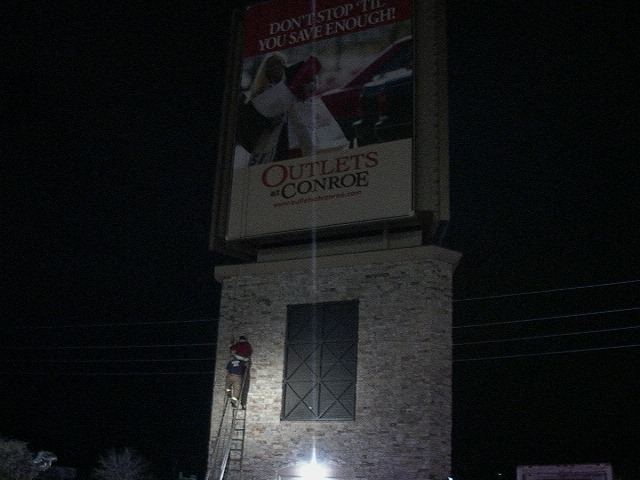 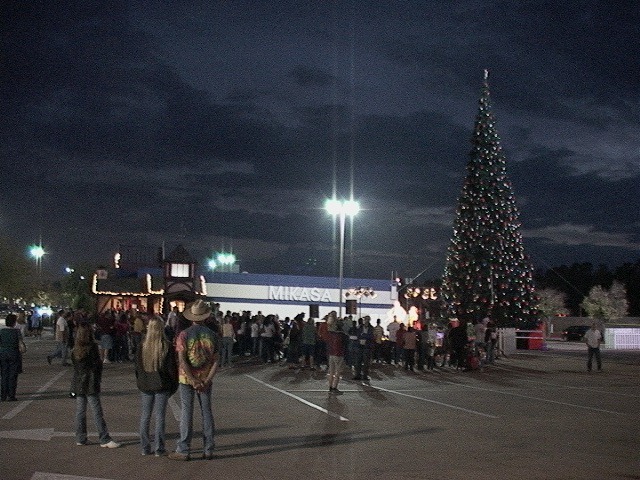 It happened at an event at the Conroe outlet mall. A rock climber was making a grand entrance by trying to rappel an 80 foot sign. 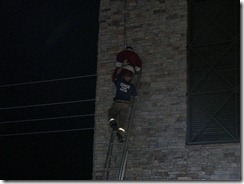 It turns out, his fake beard got caught in the rappelling gear. 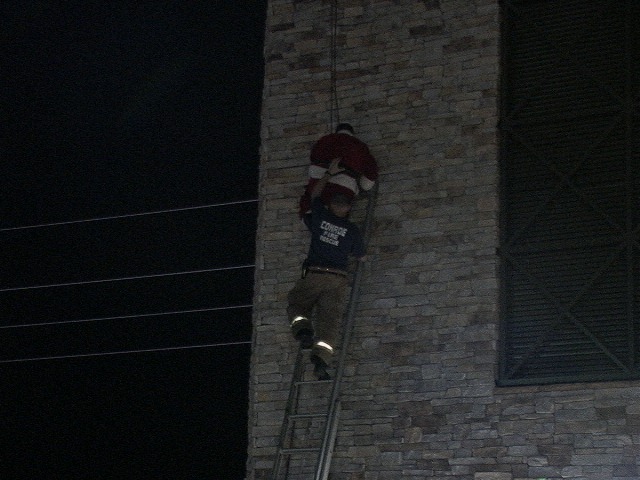 Firefighters and paramedics had to be called to the scene to help him down. 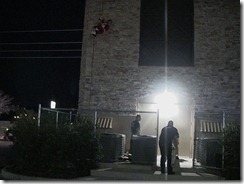 Rock climber James Bossom admitted, "It was not quite as intended, but then, nothing ever is. It worked out perfectly." 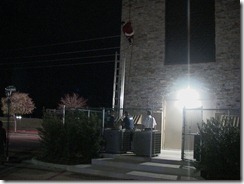 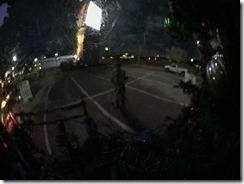 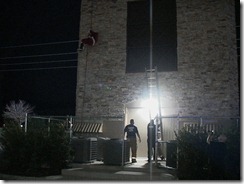 "We’ve had some things, but I don’t think we have ever rescued Santa," said Btl. 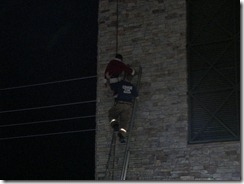 Chief Michael Gosselin of the Conroe Fire Department. 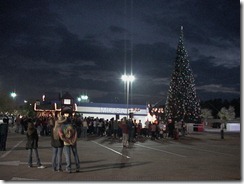 "So I figure we should get something extra for Christmas this year." 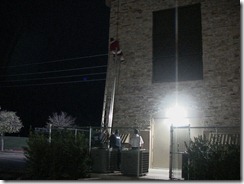 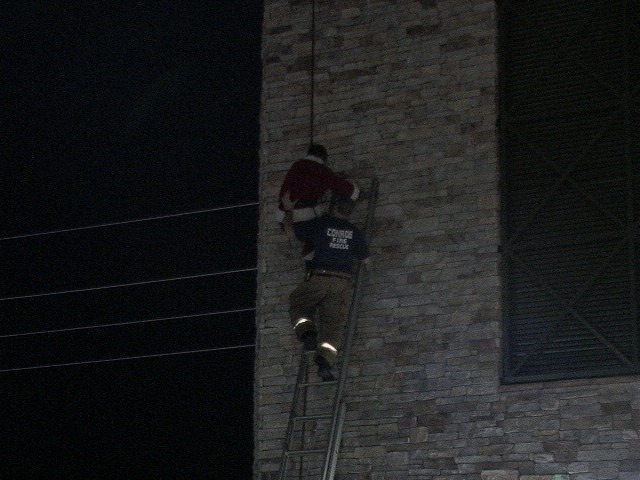 Some parents explained to their children that the man who had to be rescued was simply one of Santa’s helpers.